Currently I have created a 63 cm BJD and three head sculpts -Tessa and Cassie and Lissa .I make all the clothing for my full set dolls and my sister Kim makes the shoes. I also create rooms in which to photograph them. 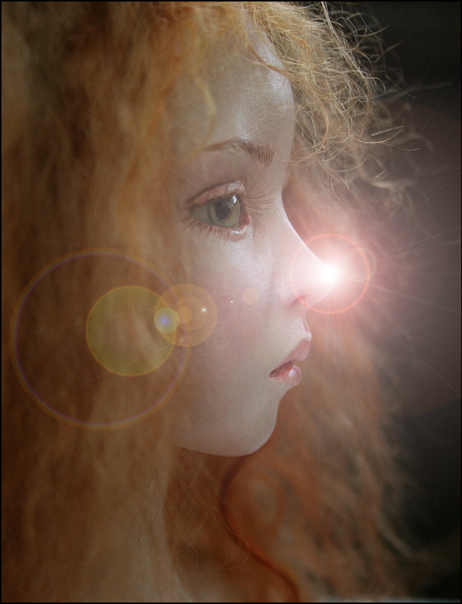 If you are interested in my dolls please send me an email – dale@dalezentner.com – and I will add you to my updates list. I also make outfits for sale. Some for my dolls and for Dollstown dolls which I collect. I live in Jacksonville, Florida USA. 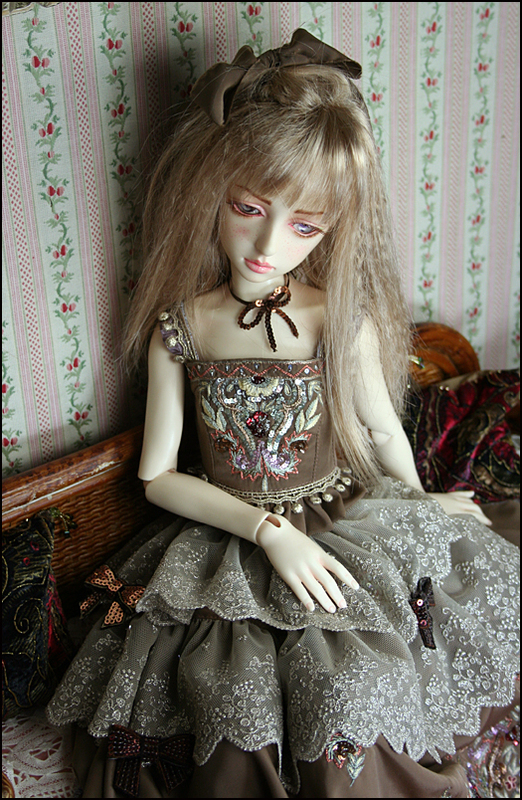 I saw a link to your blog on “The Resin Cafe'” and am so excited to see such beautiful dolls. I hope that I can get one! 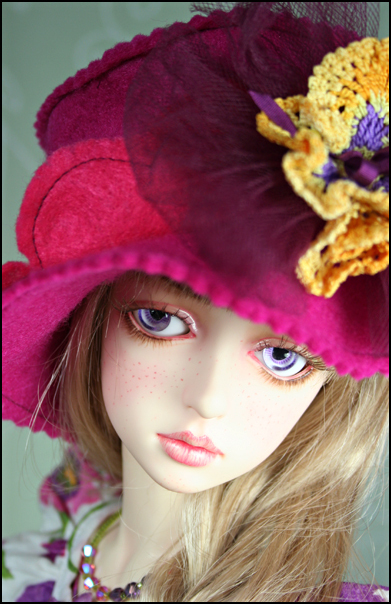 Hi I am trying to find out how to get the updates when you have dolls for sale. Not only they are beautiful but they just looked so real!!! and the little clothes are adorable! Perdona que te escriba en mi idioma lo que sucede es que soy torpe con el ingles, solo te escribo para decirte que adoro tus muñecas y mi sueño es tener una Tessa rubia de ojos turquesa jajaja exigente no, en fin voy a juntar dinero para cuando llegue el Dia que exista, seguire viendo tus novedades ya que los detalles de tus vestimentas son preciosas, bendiciones para ti y tu familia por si tienes dudas te escribo desde Perú un Hermoso País que esta en Sudamerica. Sorry that I write in my language what happens is that I am clumsy with the English, just writing to tell you I love your dolls and my dream is to have a turquoise-eyed blonde Tessa demanding hahaha not, last I raise money for when Day comes there, I will continue watching your news as details of your garments are precious blessings for you and your family if you have doubts I write from Peru a beautiful country that is in South America. 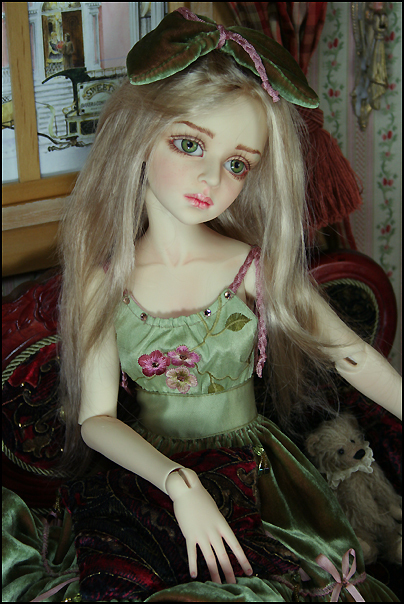 I am from India and simply love your dolls. I make paper-clay dolls too but I struggle to get a smooth finish for the skin. I use sandpaper but it’s so difficult to smoothen the clay on the eyelids and the lips, around the ears etc. How can I get a smooth finish? Please help.